There is no doubt about it - we want things to be easier and less complicated. This can also be said in regard to how fast and convenient we are able to enter and leave a room. When you are looking for the right lock for your home or office, there are plenty of options which provide the convenience you are seeking. 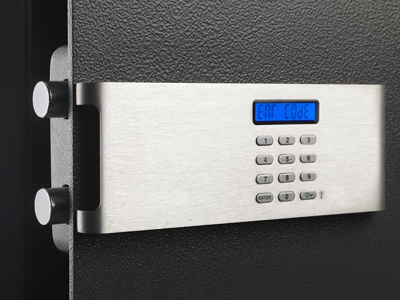 Electronic lock options are convenient and provide quick entry without the use of a key. Although more expensive than the traditional locks offered, most people who want this level of security don’t seem to mind the price. Electronic lock options are very popular in businesses. These options reduce the need for unauthorized employees to gain access to restricted areas. Push-button Lock – You will have to press the right code in order for the lock to disengage. Once keyed in correctly, an electronic signal is sent to the lock, which then opens it. The locking feature used on some of the push-button locks is magnets, while others use an internal motor. The code can quickly be changed, when necessary. Biometric Locks – This type of lock uses characteristics, such as, iris, fingerprint or voice, to open. The recognition that you decide to use is stored in a database. Once the reader on the lock is able to positively recognize the specified characteristic, the lock will open. It locks behind you again, once the door has closed. Electronic locks pose a real problem for thieves. Thieves are looking for the course of least resistance. In other words, they are looking for the simplest way to break-in. When they see an electronic lock, they usually back off. They do not take the time necessary to try to figure out a code, they risk being caught. With the continued advances in technology, you will be able to receive the security you need for your home or business. There are many more options that provide you with ease of use and a greater level of security. Get the facts about the various types of electronic locks offered and find the best one for your needs. A professional locksmith company will be able to provide the necessary information.